So you didn’t believe your Mum when she said you’d regret getting that tattoo? What seemed to be a good idea at the time can cause problems later on in life. 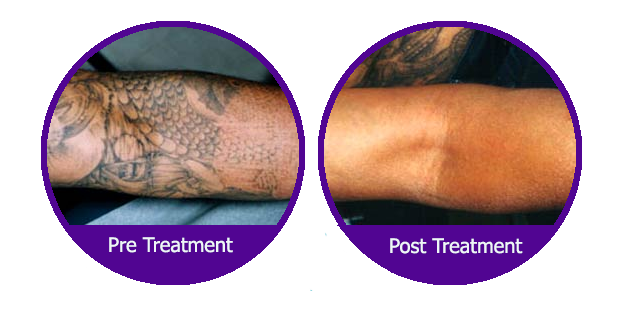 At Laser Me, we are able to remove almost all tattoos in 3 to 10 treatments and each treatment takes just a few minutes using our ND YAG Q Switch Laser – The safest and most advanced system currently available on the market. Does Tattoo Removal Hurt and What Can I Expect? The unfortunate thing about tattoos is that both getting them and having them taken off can be uncomfortable. The impact of the energy from the laser’s powerful pulse of light has been described as similar to being snapped by a thin rubber band. 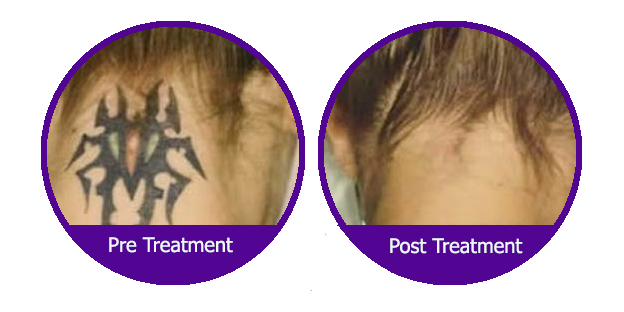 Laser tattoo removal is safe and effective. The laser selectively targets the pigment of the tattoo without damaging the surrounding skin. Before treatment commences all clients receive an initial free consultation that include questions on your general health and any medication you take. If you are fit and healthy, answer questions honestly and follow recommended aftercare you should be fine. Several treatment sessions are normally required, each session actually only takes minutes, — the number of sessions depends on the amount and type of ink used and how deeply it was injected. Four to Six week intervals between sessions are required to allow pigment residue to be absorbed by the body. Following treatment we recommend applying Aloe Vera gel to the treatment area as often as required. A shower or bath the day after treatment is okay, but the treatment area should not be scrubbed. Your skin might feel slightly sunburned for a couple of days and the treated area may remain red for a few weeks. The site might also form a scab, which should be handled gently. After healing, the site will gradually and continually fade.